Get ready for a nature experience to remember! 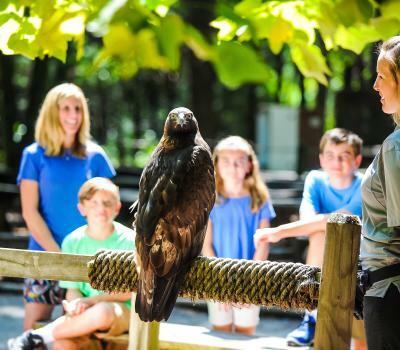 Meet 25 species of raptors as you walk the 3/4 mile Raptor Trail at Carolina Raptor Center. 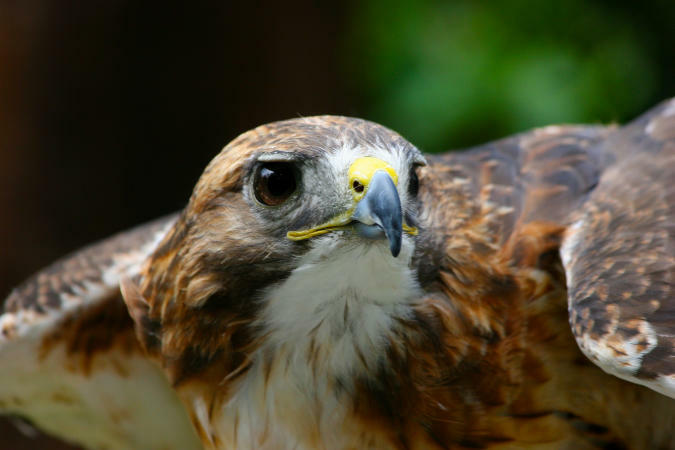 Catch a weekend live bird presentation, learn about these magnificent birds of prey or simply enjoy the setting inside Latta Nature Preserve. 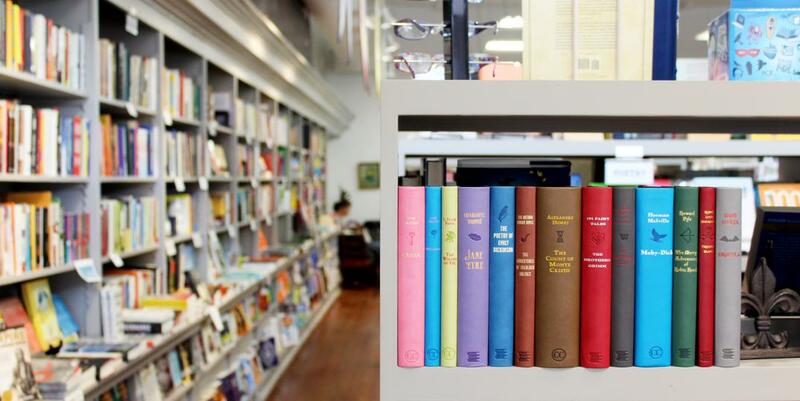 Availability: Spring, Summer, Fall Mon-Sat 10 am - 5 pm, Sun noon-5 pm. Winter Wed-Sat 10 am - 5 pm, Sun. noon-5 pm. 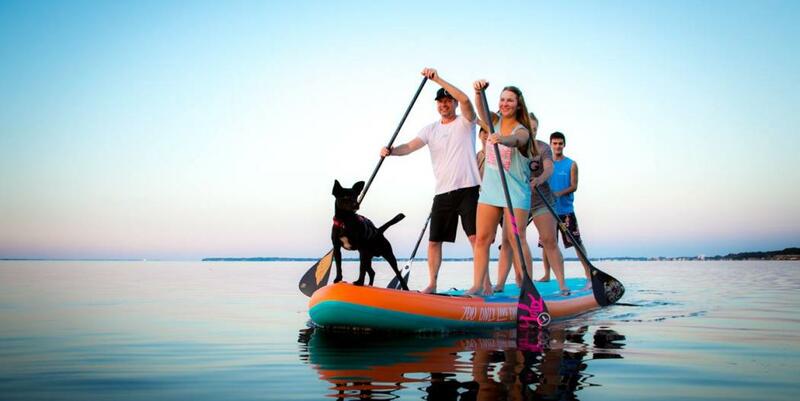 Cost: For groups over 15 people - $8/each. Smaller groups pay regular admission $12 - Adults, $10 - Seniors/Teachers/Military, $8 students 4 and above, Free for members and children 3 and under. 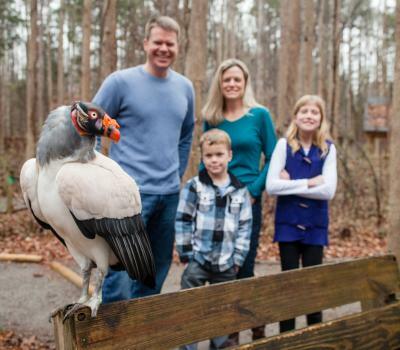 Want to take your visit to the Carolina Raptor Center to new heights? Looking for the opportunity to get “nose to beak” with these majestic animals? Schedule a live bird presentation featuring our resident birds on the glove. 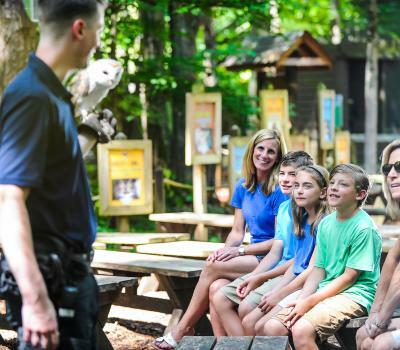 During this private presentation, learn more about conservation, natural history, as well as the incredible native and exotic species that are perched right here at the Raptor Center! Availability: Reservation required at least two weeks in advance. Subject to staff availability. Interested parties should fill out the google form here. Fascinated by raptors and love to take pictures? Grab your camera and fly on over to the Raptor Center and schedule a photo shoot with our resident birds! For both amateur and professional photographers, each outing gives you the chance to take snapshots with at least 10 different raptors. Featuring owls, eagles, and hawks, you can also snap our Flight Show raptors in free flight for some unforgettable pictures. Can’t fly by Carolina Raptor Center for our regular scheduled encounters? Don’t get your feathers ruffled, schedule a private encounter with our staff to learn more about these fantastic birds up close! Come have a taloned tête-à-tête with one of our eagles or owls. Don’t forget your camera for a selfie! 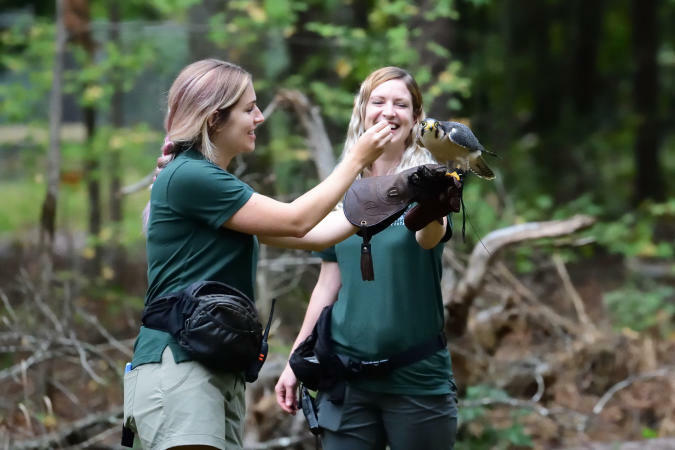 Curious about how we train our birds at Carolina Raptor Center? We’ll be glad to show you. Get a behind the scenes look at how our staff trains our birds for programs and shows! During this nose to beak experience, help us fly our Flight Show stars, walk with a vulture, or break out the brushes and paint with one of our resident birds. There will be photo ops, so don’t forget your camera.